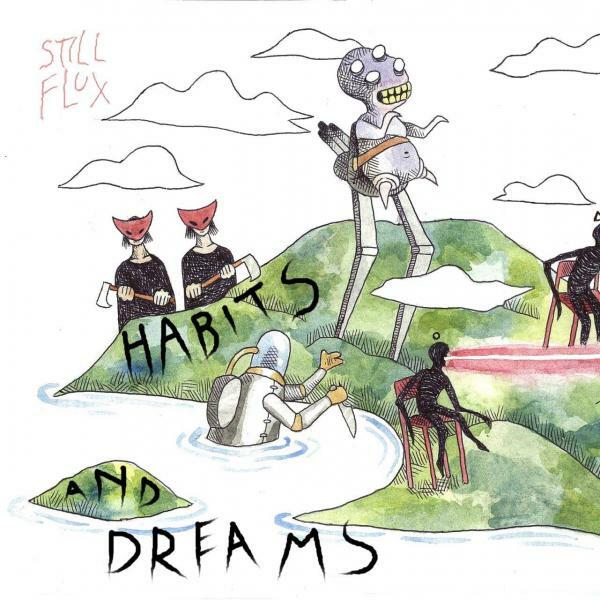 Set for a June 29th release, Still Flux’s sophomore album Habits and Dreams is a smart blend of acoustic indie and early 2000s rock. Clocking in at just under 27 minutes, Habits and Dreams aims to capture listeners by exploring themes of darkness among almost joyful sounding instruments and a haunting synth beat. In doing so, the seven-track LP successfully breaks through genre barriers. The opening track “Habits” is comprised of a gentle guitar introduction with a hint of urgency behind it, which sets the tone for the album. “The Slave” was slightly underwhelming as its accompaniment. While the use of background vocals and sound effects was certainly different and interesting, cliché lyrics such as, “I don’t know if I can stay, but I can’t seem to get away” rendered the song merely mediocre. Brief interludes brought opportunities to showcase the drummer’s skills, however, which were especially evident at the 4:30 mark. “Burning On” was a low point. Featuring pitchy half-hearted screaming vocals better left at 2009 Warped Tour, the song struggled to find its footing among the others. “Fragile Mind” followed in a similar vein, but managed to rise above by including prominent background vocals and a satisfying ending guitar riff. “The Wicked” tackles elements of hard rock, but fails to achieve the desired effect due to a lack of vocal grit and intensity required by lead vocalists to pull it off. “Come with Me” unexpectedly incorporates a cheerier sound and gentler vocals, giving it more of a welcome pop-rock vibe than anything else. With a bit of added intensity to offset the sweetness of the previous track, “Dreams” pulls the ambience of the album together. 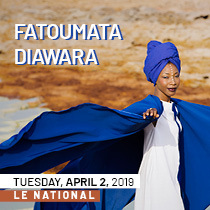 Its rapid rise and fall in pitch, marked by sections of intense drumming and electric guitar, stirs up intrigue in listeners and allowing Habits and Dreams to end on a strong note. The final two songs are the most defiant and vulnerable in equal measure. Choosing to start and end the album with entirely instrumental tracks may be a risky move, but it worked out in their favour.